ROAD TOWN, Tortola, VI- Leader of the Opposition Honourable Andrew A. Fahie (R1) has said he voted in favour of the Bill entitled ‘Virgin Islands Recovery and Development Agency Act 2018’ as his primary concern with the Bill was addressed in Committee Stage. The controversial Bill brought to the House of Assembly by Premier and Minister of Finance Dr The Honourable D. Orlando Smith (AL) was voted on and passed with amendments on March 27, 2018. 10 Members, including Honourable Fahie, voted in favour of the Bill, while two Members, Opposition Member Honourable Julian Fraser RA (R1) and Second District Representative Hon Melvin M. Turnbull, voted against the Bill. Deputy Speaker and Fifth District Representative Hon Delores Christopher was absent. 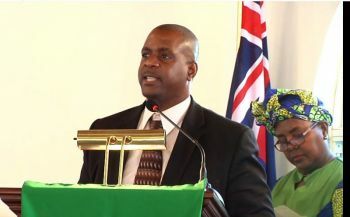 Hon Fahie, like many other Members, had stated during the debates that they would not support the Bill in the form it was presented as there were many concerns. “I made it clear to the Government of the day that we must restore confidence in these Virgin Islands especially for investors (both local and foreign), the UK and the voters. As a result, I participated in making many amendments to the Bill. I am pleased to inform that my primary concern was addressed,” Hon Fahie stated in a press release on March 27, 2018. He explained that this concern was the huge amount in loan funds being sought would cause the Territory to be outside the allowed ratios of the Protocols for Effective Financial Management document for borrowing. One of the concerns that many other Members, including Backbenchers, had expressed was Premier Smith’s refusal to provide them with critical documents to help inform their decision on the Bill. But, according to Hon Fahie, Premier Smith finally honoured “somewhat” their requests. Hon Fahie added that the Bill underwent major amendments; however, all were in the best interest of the people of the Virgin Islands and in the best interest of ensuring accountability, transparency and independence of political interference of the Board/Agency, the latter being one of the major concerns expressed by legislators, including Minister for Health and Social Development Hon Ronnie W. Skelton (AL). 1) Cabinet will not approve the Recovery Plan alone but it is now subjected to an Affirmative Resolution of the House of Assembly. 2) The functions of the Board and Agency are well defined and all efforts were exhausted to ensure that they do not conflict with the Constitutional powers of Ministers and their duties. 3) The Board will ensure the Proper implementation of the approved recovery plan through the Agency. 4) The selection of the Chairperson of the Board to include input by the Governor, Premier and The Leader of the Opposition. 5) Composition of the Board was amended to include a youth to be selected by the Leader of the Opposition; and the Premier to select a person from one of the sister islands. The Bill will now make its way to the Governor for it to be assented to so that it can be official. 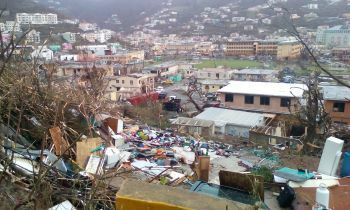 The Virgin Islands Recovery and Development Agency Act 2018 was necessary for the creation of an independent agency to manage all monies borrowed and grants received for the recovery and development of the Territory following two catastrophic hurricanes in September 2017. The agency was mandated by the United Kingdom in exchange for loan guarantees of up to $400M. at work. The votes have been cast. This one is for the books, needs to be written about and revisited, the Most High willing, 10 - 15 years from this date. Our future vision is on its way to be recreated and with time, we shall reap its fruits, for better or for worse. Suggest we await how the amendments are received by the UK before we celebrate. We have become beggers in our own country. Imagine that. We do need to begin the recovery process. I hope and trust that there is much transparency and accountability with the money. I would hate to see these politicians and their friends pocketing this money and we get all kind of half done jobs. At the end of the day our children’s children will be paying back this money so use it for the BVI and not your personal bank accounts and pockets. We have embraced a culture of dysfunction throughout our society- an insatiable appetite for greed and materialism by any means necessary.- steal, lie, deceive, kill and murder, sell our souls- our brothers, sisters, daughters, sons, and extended families for money. Our root is being poisoned; let’s see if more money will help? The ones who really lost are the voters of the fifth district. Delores Christopher has forfeited any justification for her re-election by choosing to be absent for the most important vote in our history. Shame on her. Doc you good, you pull the oldest trick in the sales book, "fear of loss." They really thought they were missing-out on something by holding back a few pieces of the document, claiming confidentiality. They can't say you havn't learnt something being around all those international billionaire con artists. Doc you catch them. LOL! Quiet but deadly! you trying to create a narrative? Doc is who paniced and caved mooron. Does it matter who or what side you on, what rules you change, add or remove? You still playing the political game that was designed by the elite....as long as you play THEIR game its a win for them.....kinda sad we have to be politicians to save and build a country.....what happened to just being civilised countrymen and women who build and prepare fpr the future? Can we really not feed, educate and house ourselves without a loan from people we know really dont care bout us? One thing i'm happy about is that the level of conversation has been stepped up quite a few notches. I always knew we had it in us. When I heard that Mark shed tears in HoA I became emotional. Mark is a good man so is Myron. Lets stop the foolish bashing and work in unity and sense of purpose. For god did not give us a spirit of fear but of POWER, of love and of a sound and a peaceful mind. Lets get it on. I have such much more respect for Fahie now than before. He's a true leader.